We listen to music a lot in my classroom. My students seem to work better with tunes in the background. Sometimes I use it as a reward as well. My district has Spotify blocked but we are Google Suite Members so we have access to Google Play Music. Google Play Music has some good stations that are kid appropriate but you have to be careful! There's one hip hop station that says it is censored but it's really not. Luckily I was listening to it at home and noticed. That could have turned out really badly at school! 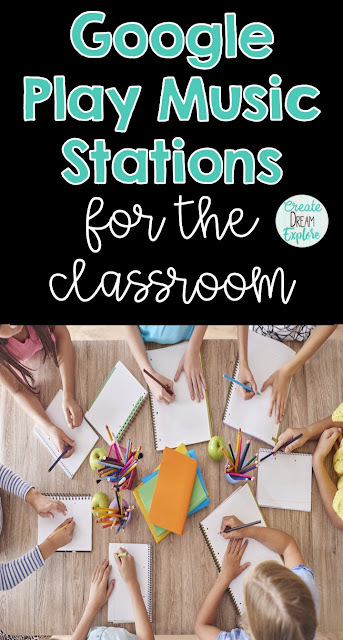 I definitely recommend listening to a station for a while before you play it at school for your students. 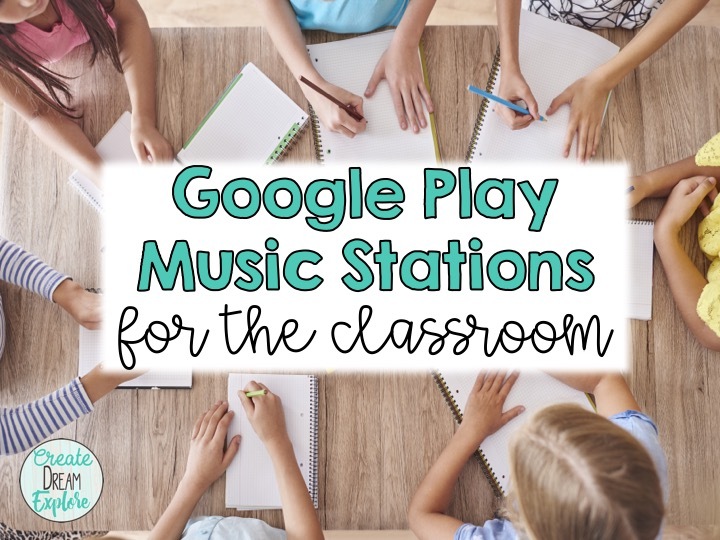 Here is a list of Google Play Stations that I listen to in my classroom. These stations are good for when you don't want to have lyrics. You can just go to Google Play Music and search for instrumental stations and you will find a wide selection. 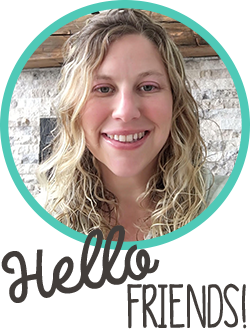 Don't forget to check out my other technology related posts here.